Interested in sharing your time and talent with one of the best volunteer teams in Tennessee? Join us! HOBY Tennessee is looking for dedicated adults who are 21 and over to serve in a variety of roles before, during, and after our 2018 HOBY seminar. 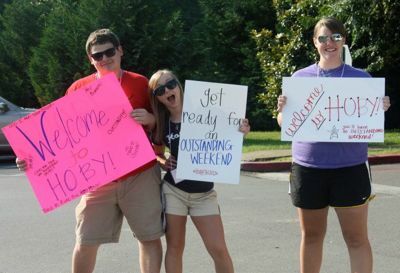 For more information on volunteering with HOBY TN, please email us at nathanhendrix@hobytn.org. A facilitator is an adult (over 21) volunteer who is responsible for a small group of 8-12 students throughout the entire seminar. Facilitators lead small group discussions, build unity among the group members, and make sure their group members stay on task. Facilitators are a vital part of the HOBY experience and the enthusiasm and involvement of the adult facilitator has tremendous influence on the group. A facilitator serves as a role model, counselor, friend, and in some cases disciplinarian. Balancing these roles may be challenging, but volunteering as a facilitator is one of the most rewarding positions that a HOBY volunteer can have! Applications are live! Check them out here and please have them done by January 15th! Anyone who has attended a HOBY TN seminar will tell you that our Junior Staff team keeps the heart of HOBY beating! Junior Staff volunteers are HOBY Alumni who are under 21 and work to help the seminar run smoothly and make sure ambassadors have an OUTSTANDING experience! Requirements vary for alumni who have already served as a junior staff volunteer and those who have never served as a junior staffer. One requirement for all junior staff is the fulfillment of their Leadership for Service challenge. 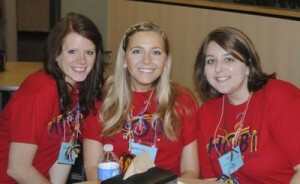 Students will need to have completed at least 100 hours of volunteer service within the year, and log that data in the Alumni section of www.hoby.org. Students must also fulfill and fundraising quota to cover their expenses and complete an essay in order to participate on the HOBY Volunteer Team. Applications are live! Check them out here and please have them done by January 1st! Announcements should be made by February 1st.